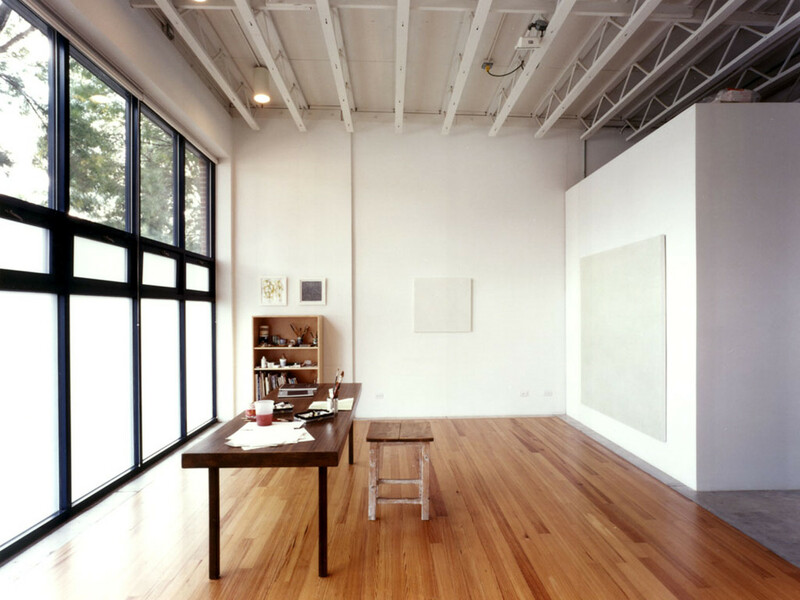 Located in Chicago’s Roscoe Village neighborhood, this studio was transformed from a former single story commercial building. The single story brick structure was gutted and outfitted with a new roof structure. 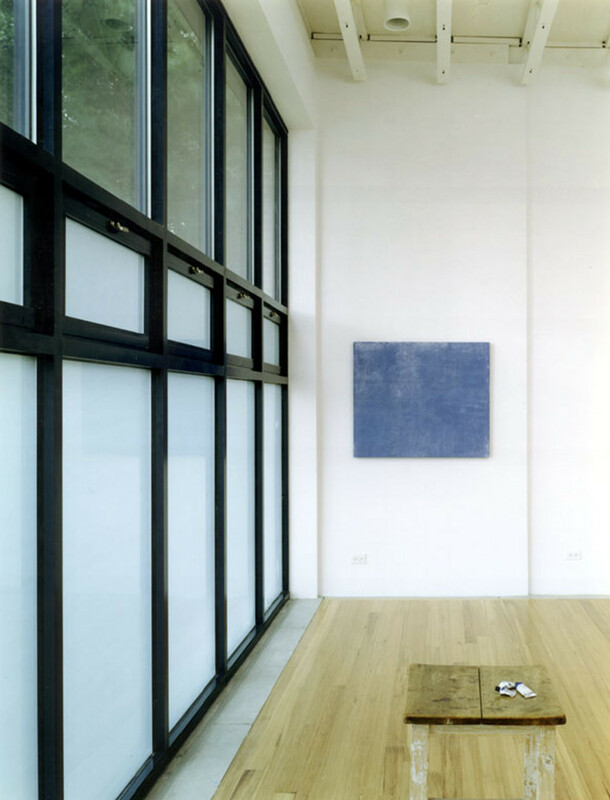 The interior is restrained and simple and in many ways resonates with the artwork created within. 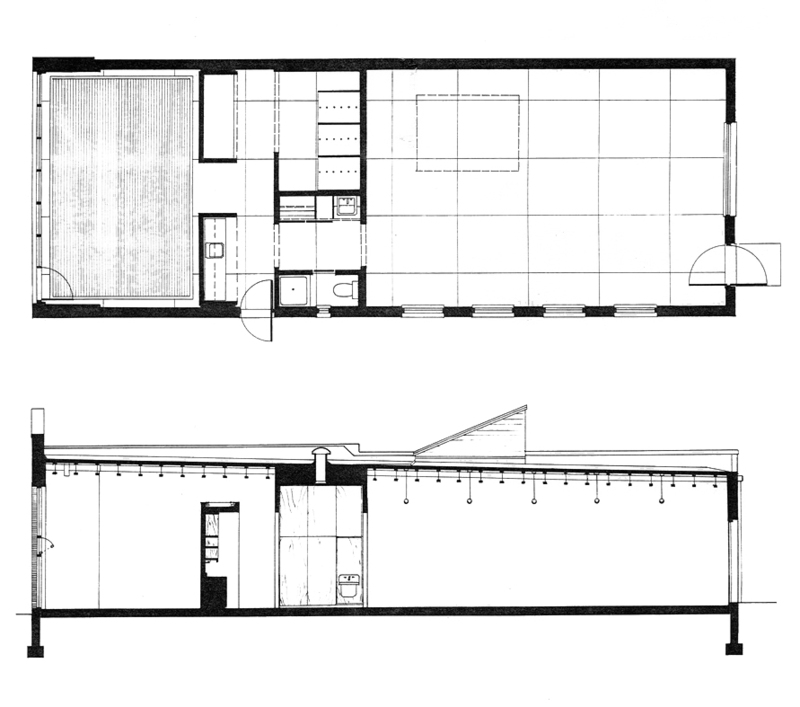 The studio space within is divided into two distinct spaces by the central service core. 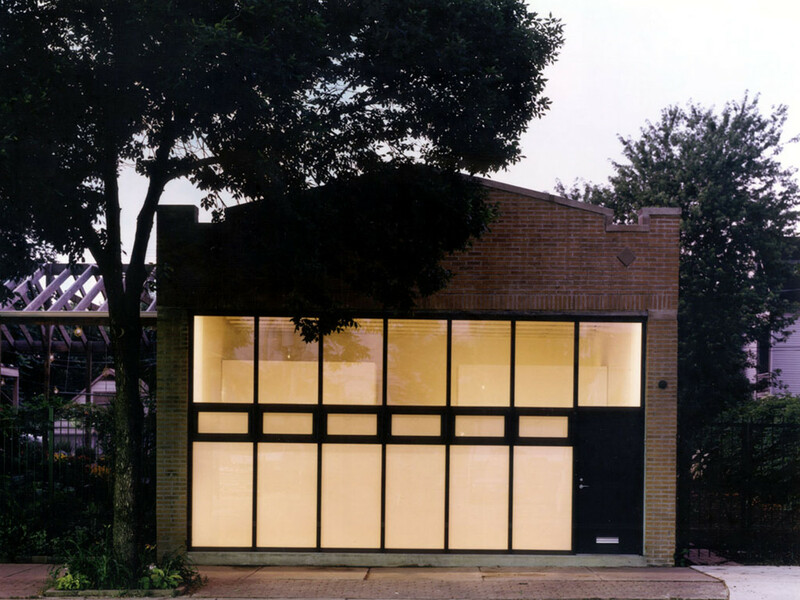 Outfitted at street level with translucent glass, the storefront windows are maintained in the existing opening providing diffuse daylight and privacy to the gallery space behind it. 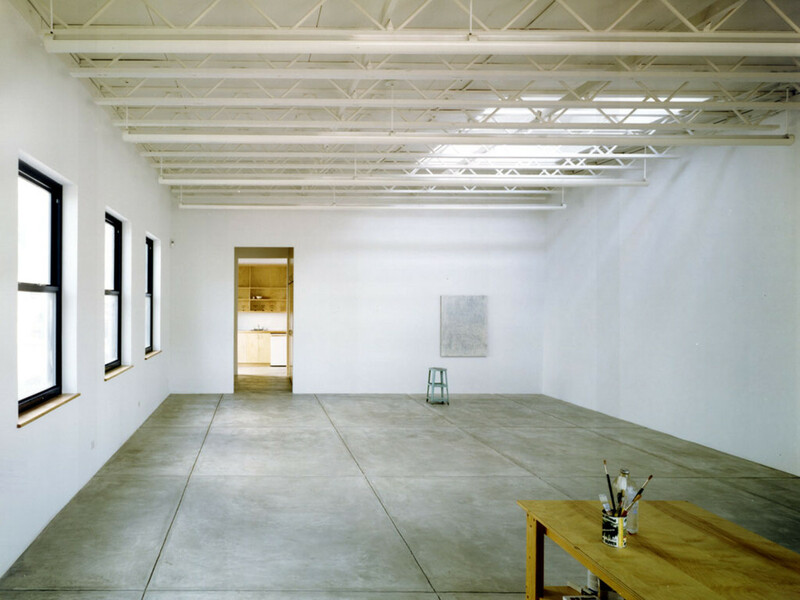 An elevated maple platform hovering over the concrete serves as the floor for this space generously lit by the storefront glazing. The simple cadence of plate connected wood trusses is not broken for the skylight above. 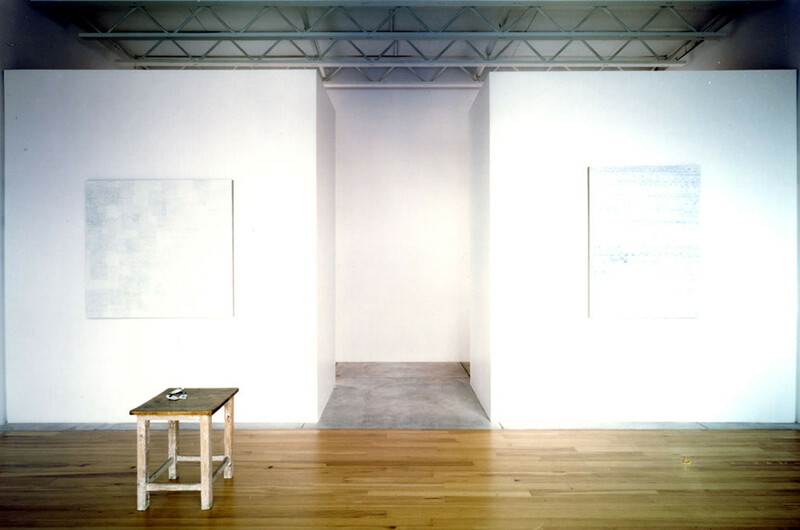 Crisp plaster walls meet the concrete floor directly. 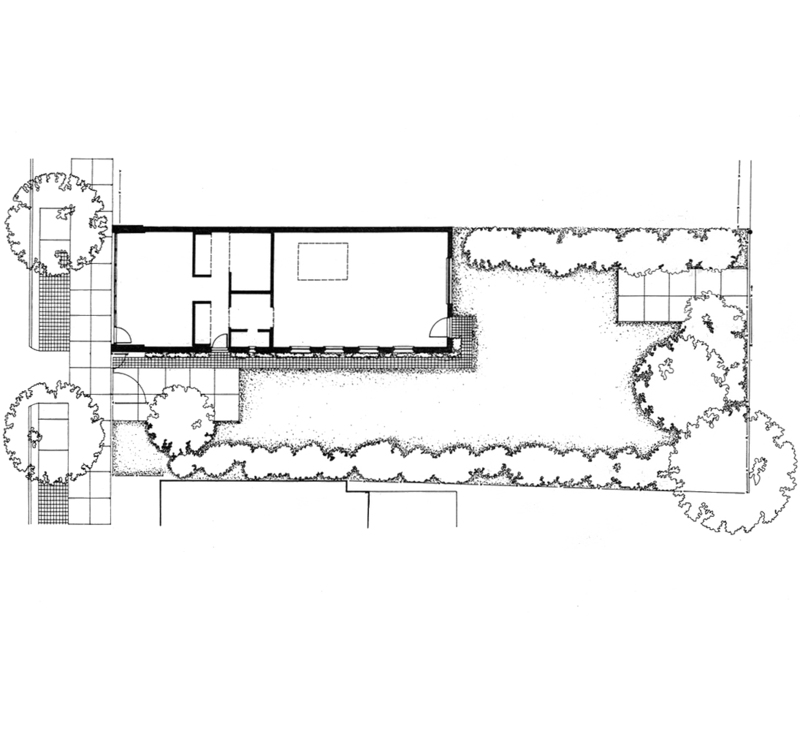 The larger studio space towards the rear opens up directly onto the garden.